Why are Seattle Public Schools still so segregated? When Nicole Harris’ son started fourth grade at Thurgood Marshall Elementary in the Central District this year, there were only minority children in his class. That’s in spite of the school being over 44% percent white. Meanwhile, some of the other fourth grade classes are almost entirely white students. Why are the classrooms inside Thurgood Marshall so segregated? Maybe because it’s a magnet school participating in the Seattle Public Schools’ “Highly Capable Cohort (HCC)” program. The students in the HCC classes are predominantly white, and those in the regular program are mostly students of color. To understand the roots of this segregation in Seattle Public Schools, you need to look at how institutionalized racism and division by socioeconomic standing have dominated Seattle school assignments in recent decades. 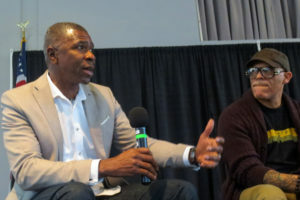 A large push to integrate Seattle schools began in 1977 with The Seattle Plan which bussed students to schools in different neighborhoods in an effort to create racial diversity. But that first year white parents responded to bussing by pulling their children from public schools en masse, prompting the district to create special magnet programs to entice them back. Five years after mandatory busing started, the number of schools offering magnet programs had grown by 30. The combined result were schools that were diverse overall, but mostly segregated from classroom to classroom. In 1997, Seattle ended the busing experiment, largely deemed as a failure, and enacted a race-based tiebreaker for spots in schools that too many students wanted to attend. But in 2007, a group of mostly white Seattle parents won a suit before the Supreme Court that ruled that schools nationwide could no longer use race as a factor in placing students. As a result, Seattle schools are now trending back toward being racially segregated from neighborhood to neighborhood. But even in those that remain diverse on paper — magnet schools like Thurgood Marshall Elementary and Garfield High School, for example — students are still segregated between classrooms. Harris thinks she’s identified part of the problem. 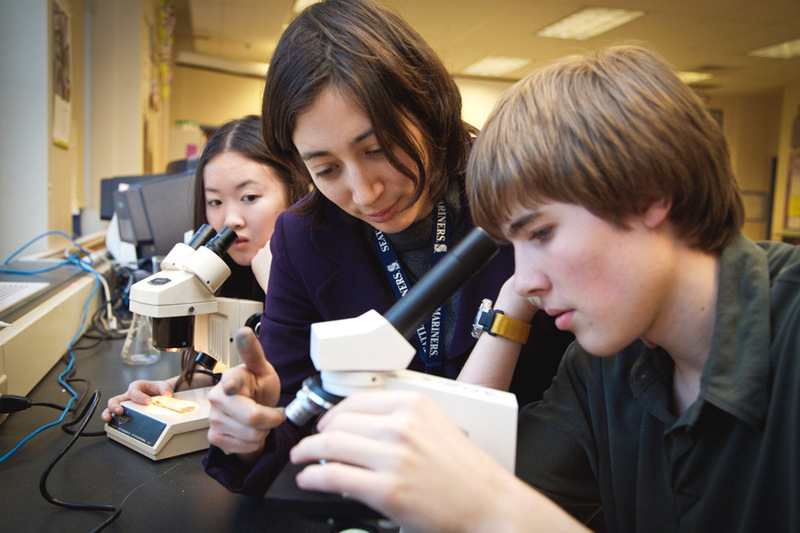 For many advanced learning programs, teachers act as the gatekeepers, recommending students they see fit for “highly capable learning.” And the process, where parents opt into the tests, and are even able to appeal the results and pay for retesting, advantages families where parents have the time, language skills and resources to actively advocate for their children. Harris says she knows it will be a battle for both of her children to fight through institutionalized racism in public schools the next decade. Currently, Seattle has the fifth largest gap between white and Black students in America. A Black student tends to test about three and a half grades below a white student. A Hispanic student tests two and a half grades below a white student. 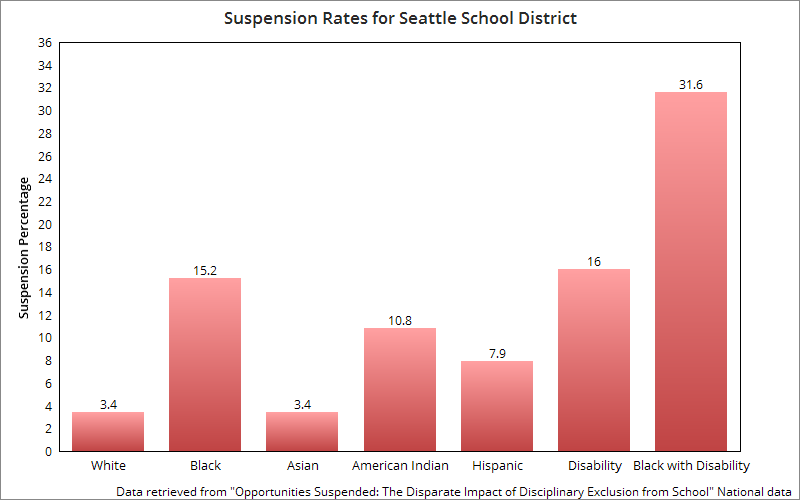 There’s also an alarming contrast in suspension rates for minority students versus white students. 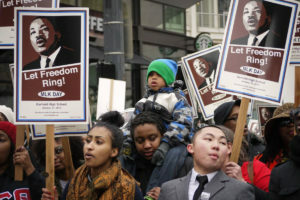 In data collected by the University of California, Los Angeles, Civil Rights Movement, they found that while Asian and white students had similar suspension rates, other minority students were suspended at more than twice those rates. “My son will not be a statistic,” says Rose Wallace-Croone, another Seattle Schools parent. She says it’s easy for a six-foot-tall, dark-skinned male to become a statistic in the Seattle School District. 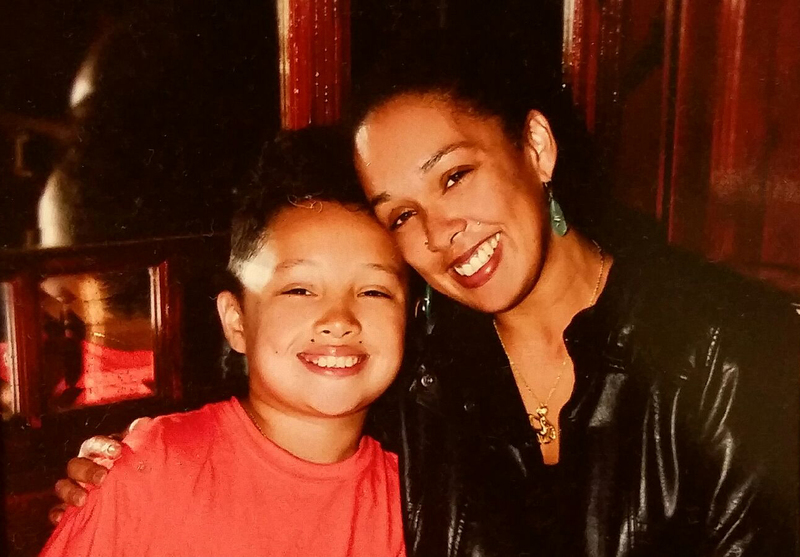 Her son, who is slated to graduate high school this year, went to Thurgood Marshall Elementary in 2010 when the Seattle School District decided devote some of their classrooms to the Accelerated Progress Program (now known as HCC). They began to bus mostly white children from outside of the Central District to the school, and it went from a majority minority school to majority white. Students like Wallace-Croone’s son, and now her daughter who is in the same school, became “general education” students. She says they didn’t invite the general education students to join the new program. As her son moved to Washington Middle School, he scored high enough to place into Spectrum, another advanced learning program. But with that year’s new program guidelines, Wallace-Croone heard that the program accepted too many minority students. They would have to test again next year to show consistency. Ultimately, her son never joined the program. 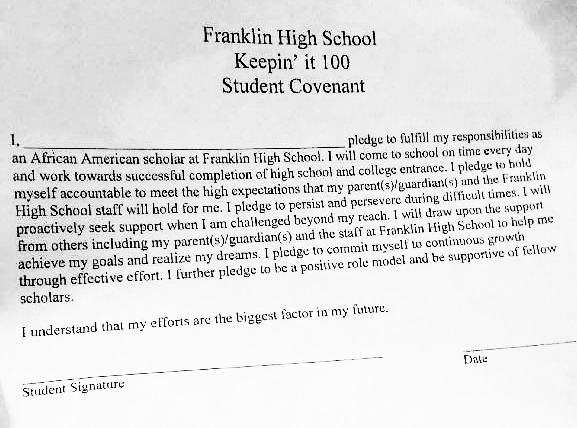 A letter given to Black students at Franklin High School at the beginning of this year, prompting accusations of profiling (Photo courtesy of Black Aziz Ansari on Twitter). As a parent and advocate for minority children in Seattle public schools, she says she’s frustrated at how racial segregation has morphed and mutated — hidden but apparent to those facing it. In Wallace-Croone’s words, each student should have the right to learn, grow, and be loved in school. But she says minority students don’t currently have those rights in Seattle schools. She and Harris agree that a lot of power and influence lies with the parents. Parents do not realize the impact they have, but they need to make their voices heard. After an uproar about the segregation of Garfield High Schools Honors program, the school enacted a new equity program called “Honors For All” that will have “advanced learning” students and “general education” students take the same Social Studies class together, in an attempt to bridge the gap. Thurgood Marshall is adopting a similar program. Sean Riley, a teacher in the Seattle School District as well as an advocate for school integration, is hopeful about this change. However, he fears that a negative outcome may dissuade the school district from continuing these changes. We’ve updated this story to correct the name of the program Wallace-Croone’s son was in, from APP to Spectrum. We’ve also updated to clarify the details of how students are admitted into advanced learning programs, and to give more details on Honors For All and similar programs. Tags: Brynn Tweeddale, discrimination, education, Garfield High School, Racism, School, Seattle School District, Segregation, Thurgood Marshall Elementary School. Brynn Tweeddale is a writer and photographer studying Human Centered Design and Engineering as well as Journalism at the University of Washington. She has worked as a freelancer for PictureCorrect, Orogold, and Ultrafino and as a photographer and designer for Dorian Studio. I’m a parent of two HCC students. To be qualified as “HCC”, my kids had to score in the top 98th percentile on their standardized tests. To score that high the HCC kids have to generally be capable of doing work at least two grade levels ahead. Many are much further ahead. All I want for my kids is to be appropriate challenged in school. My children were not receiving the appropriate level of challenge in their general education classes which was at grade level, which is why we had them tested and placed in the HCC program. It had nothing to do with race. I wish the HCC program were more racially diverse, and I support the existing efforts of Seattle Public Schools to try and increase participation by minorities. This includes the district already testing every single student in the district’s Title 1 Schools (schools with high levels of poverty) in second grade for qualification. It includes the district already taking into account additional factors when reviewing the qualifications of minority and low income students. And it includes the city paying for preschool and full day kindergarten (I had to pay for both) for those families that need help. The fact that the HCC program was placed at Thurgood Marshall was a horrendous decision by the district. It went against the recommendation of the districts outside consultants and HCC parents. Regardless of race, no parent likes to be made to see their child excluded. No child likes to feel excluded. To have it so blatantly thumbed in your face every day is outrageous and harmful, and the district should immediately move the HCC program out of Thurgood Marshall. Beyond the fact that HCC students are grouped based on preparedness to handle an accelerated curriculum, the district does not provide the program with any more resources than any other program. For example, the third grade HCC students use exactly the same math books as the non HCC kids, except that they use the fifth grade book instead of the third grade book. And instead of being taught the third grade curriculum in third grade, they are taught the fifth grade curriculum. The teachers are the same. The quality of the facilities is the same. The allocation of funds is the same. There is a difference between an opportunity gap and an achievement gap. If you start from the assumption that everything a student learns is 100% dependent on the public schools, and the measured achievement is different, then absolutely you can infer that the students have been treated differently. But research and common sense indicate that is just not the case. What happens outside of the classroom is also very important, and that is beyond the control of the public schools. If I were a parent with a student in the general education program at Thurgood Marshall, I would do everything I could to get the HCC program out of the school. It doesn’t belong there, is a huge injustice, and is harmful to the self-esteem of many students. But fighting to rid the district of the HCC program as a whole doesn’t serve anyone, including the minority students across the district that participate. I understand your points individually but I don’t understand how you can reconcile them. You say you’re glad that your kids are in HCC so that they can be appropriately challenged. But if you don’t want the HCC program in Thurgood Marshall, what about the parents of gifted kids in that school who also want them to be appropriately challenged? The poster’s children are most likely enrolled at Thurgood Marshall solely for the HCC program. Access to HCC is guaranteed to every qualified student no matter where they live. If HCC were moved to another school, the highly capable students would receive services there. Oh OK, I get it now. When the poster said “move the HCC program out of Thurgood Marshall”, I thought she meant to stop offering the HCC program to Thurgood Marshall students. I didn’t realize that all students in HCC traveled to Thurgood Marshall for it no matter where they lived, and the poster was just suggesting to move the same students and the same classes to a different school. early days of busing in Seattle during the period of 1971-74. Many with honors. Perhaps it was better preparedness by parents, as My mom and dad required all of their children to have library cards at age 7 and check out every book that was required reading concerning Western European history, philosophy, and culture. I firmly believe that unless a child is acclimated to Western Civilization and culture, despite how they feel, it is almost impossible to do well in any public school. This was the attitude of my very intelligent, intellectual parents. I ended up well adjusted and highly educated, both my wife and myself. Our child graduated with high honors from an advanced high school program in Williamsburg, Virginia. The HCC/Spectrum system is out of date, privileged and segregates! HCC’s self-contained classrooms for highly capable students are best practices in gifted education! The HCC program is not out of date. Even now, all research indicates that a self-contained program is the best way to educate highly capable students. The HCC program is not privileged but the students in it certainly are. 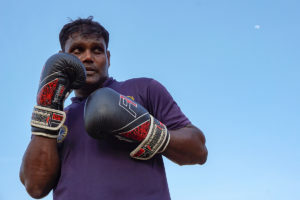 They have enjoyed the benefit of their families’ efforts to prepare them, support them, and motivate them. What’s the alternative? For these families to refuse to prepare, support, and motivate their children to develop their minds and achieve academically? What would you propose? The HCC program does segregate, but no more than age-based classrooms segregate 7-year-olds from 9-year-olds, from 11-year-olds. The students who are ready for the fifth grade curriculum should be taught the fifth grade curriculum – whether they are in the fifth grade, the third grade, or the seventh grade. But it isn’t possible to teach multiple curricula in a single classroom, so the kids who are ready to work two years ahead are all brought together in one classroom to learn those lessons. I would not deny the basic tenet of the article that SPS is segregated, but I think that the HCC program is not the cause. In the case of my white family, my student who did well of the MAP testing received what looked to be an automated letter from the district encouraging him to test for HCC. My other student who did not test that well did not get invited to test for HCC, and I know that she would not have done well in that program, since it works 2 grade levels above. So in my case “ability level tracking” worked wonders, as my academic kid got what he needs and my other kid stayed right on track, and did not have to crash and burn out of a program that is too hard. There were no “teacher gatekeepers.” There were test results, and the program is hard. The attacks on HCC being racist are false. HCC is a place for SPS to meet the needs of students who perform very well academically. Think of it this way: my academically gifted kid is terrible at sports. Does that mean he should be given a place on the varsity team without tryouts (Football for All)? My kid is a poor musician, so should he be given a place in Garfield’s amazing award winning Jazz band (Band for All)? SPS has good programs for special needs kids. But my kid is really really good at academics, so he should not be allowed to explore that potential? The internet tells me that Seattle is 70% white, and 30% “People of Color,” including African Americans, Asians, Native Americans, Hispanics, and Pacific Islanders. I am pretty sure that my HCC student’s class is not actually 70% white–I don’t know for sure but I might say about 50% white, which statistically speaking says People of Color are represented. Outside of HCC I do not disagree that SPS is segregated. That has to do with segregation of neighborhoods and neighborhood schools. My solution is to try to bridge the achievement gap by adding more teachers and classrooms. My experience as an elementary school parent was that all the kids were equally bright and ready to learn, but 30 kids in a 2nd grade classroom is too many. “Failing” schools should not be penalized, as they are currently, but should be supported with more teachers. Schools should also have counselors to help the kids, and the teachers should have small enough classes to really know the kids. There they could learn, grow, and be loved. And that would help with some of the institutionally racist issues that students, especially African American students face, since the teachers would really know them. Helping the kids who are most at-risk in the elementary years would start to break the cycle, and those kids would continue to achieve in middle and high school and hopefully college. Super easy, if we can muster the will to do it. Why is your assumption that minority students at private schools are there with financial aid??? The HCC system is racist, and so is your argument. Still institutionalized segregation, in 2014. Janae, that comment about financial aid was not meant to be a sweeping generalization. Sorry if it came across that way. These are all students our family personally knows; our friends and neighbors in our Rainier Beach neighborhood. No one in our neighborhood can afford $35K per year private school, regardless of race. The point is just to say that we know at least five children of color, within two blocks of us, who attend prestigious private schools. So they likely would be in HCC, if they didn’t choose to go to Lakeside instead. (if you scroll down to “Ethnic Distribution”) says that Seattle elementary school students are about 40% white, which I think is the relevant statistic here. Unless you believe that HCC is keeping White families in the district. The author of this article clearly did not do her research. “it went from a majority minority school to majority white.” Not true. Thurgood Marshall has been a majority minority school from 2009/10 to the present. Teachers are not gatekeepers to the program. “As her son moved to Washington Middle School, he scored high enough to place into Spectrum, another advanced learning program. But with that year’s new program guidelines, Wallace-Croone heard that the program accepted too many minority students. They would have to test again next year to show consistency.” Not true. There has never been a limit on minority student enrollment in Spectrum. There was an overall limit on Spectrum enrollment at Washington and students who didn’t have a seat were required to retest for eligibility each year. It was not required to “show consistency”. “After an uproar about the segregation of Garfield High Schools Honors program, both Garfield and Thurgood Marshall have enacted a new equity program called “Honors for All.”” Not true. Thurgood Marshall doesn’t have an Honors for All program. 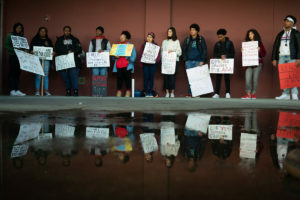 “the district stated, “studies over the past thirty years that note the detrimental effects of ability-level tracking are an indicator of the institutionalized racism that plagues our school system and adds to the opportunity gap.”” The quoted statement was made by the 9th grade teachers at Garfield, not the district. The largest demographic at Thurgood Marshall has been white since the APP/HCC program started. Maybe if you add all the minority groups together, they equal more than the white students. But no minority groups have been a majority since before the program started when they always were. Both Thurgood Marshall and Garfield started a joint social studies class this year, the same program, different schools. Whites are the largest demographic in both the school district and the city. Our schools would best reflect the diversity of the city if whites were the largest demographic in every building. I just wanted to clarify some of your concerns. By majority White, I mean that the largest percentage of students at the school were White. In 2008-2009, the school was majority Black (http://reportcard.ospi.k12.wa.us/summary.aspx?groupLevel=District&schoolId=1037&reportLevel=School&yrs=2008-09&year=2008-09). In 2009-2010, the school had a majority enrollment of White students (http://reportcard.ospi.k12.wa.us/summary.aspx?groupLevel=District&schoolId=1037&reportLevel=School&yrs=2009-10&year=2009-10). I think you are adding up all of the minorities together, which I didn’t do because some Hispanic and Latino children also identify as White, as another poster said. To clarify your concern’s about Wallace-Croone’s son not being accepted into Spectrum, it was explained to Wallace-Croone that when they changed the expectations for the Spectrum program, a large number of students from Rainier Scholars (a program for predominately minority students) tested into the program but did not excel in it. Because of this, students were asked to test again next year. They did not necessarily ban minority students, but because the program mainly consisted of minority students, it affected them. Thurgood Marshall and Garfield both enacted a joint social studies class this year. I think you are right that the Thurgood Marshall program does not have the same name. We will correct that in the article! If you want to write about segregated schools, you should do some actual research and compare demographics and programs offered at Roosevelt and Rainier Beach High Schools. 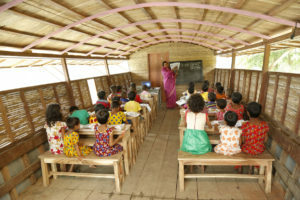 Students are placed in these schools based on where their parents can afford to live as contrasted with HCC which was created to provide services to students whose learning needs are not met in general education classrooms. One right does not cancel out a wrong. Irrelevant, as meeting a child’s academic needs is not a wrong. Never said it was. But barring the path for /all/ child to have their academic needs met is wrong. Children who don’t qualify for HCC do have access to a program that is designed to meet their academic needs. It’s called general education. HCC and Spectrum qualification requirements were set to find the students whose academic needs would not be met by the program of study in the general education classrooms. For example, if a student isn’t ready to work two grade levels ahead in both math and ELA, they don’t need HCC services. Limiting access to highly capable services to those students who are ready for them and need them isn’t discriminatory. The article is bringing up segregation with two main points of evidence: the HCC program and the magnet/choice school programs. How can it be argued that segregation is present? The data overwhelmingly shows it is happening. I see it happening constantly at the school where I teach (not Thurgood Marshall – we’re a school where white kids come for short periods, generally, while they wait on a spot in a nearby choice school, or until they test into HCC and move to another school.) Teachers may be gatekeepers – certainly, we all have bias. But most teachers I know disagree with the existence of the HCC and choice school programs altogether – it’s parents that believe their students need “greater challenges” that usually push for testing. Public education usually means that students gain experience with diverse classmates and the tradeoff is that they don’t get instruction that addresses their specific needs 100% of the time. (So parents choose more homogeneous settings as far as academics and social class.) Recent moves to test all students are maybe a step in the right direction. But if I were a 6-year-old who got 5 hours of sleep in a noisy shelter; had an hour-long, scary ride on a rowdy school bus; and then took a standardized test – how accurate would that data be about my academic needs? I’m not suggesting that all students of color are homeless (not at all) – but income and class are huge determinations of school placement in SPS, which sometimes overlaps with racial statistics. Parents of white students need to think about what is lost for their student and others, when their kid moves to a more homogeneous program. HCC isn’t a magnet program and while it segregates children, the segregation is based on academic needs rather than income or race. This is clearly not discriminatory. Our public schools exist to provide academic services. If most teachers you know don’t teach highly capable students, it’s understandable that they might not understand the needs of these children. 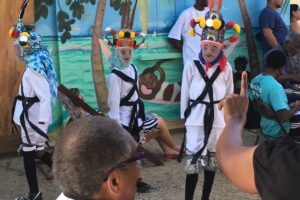 Opinions formed without firsthand experience have little value compared to those of the teachers who work with these children. Nobody’s children get their academic needs met 100% of the time and parents don’t expect that. They do expect that their children will learn new things every day at school and will be given challenging work that provides an opportunity to struggle and persevere. My son had to write a self reflection in elementary school on the point of going to school. His response was “to get good grades”. He had no idea that he was supposed to be learning – because for him school wasn’t a place where he learned new things. An experience like that is a waste of public funds and a child’s time. We fund public schools first and foremost to teach our children academics. If they’re failing to do that, what is the point? The grave inaccuracies in this article and the absence of an opposing view discredit it. 2) a byproduct of SSD taking the path of least resistance in the 2009 school closures (i.e. focusing school closings or splits primarily on minority areas, where the push back is traditionally much less than in more affluent and/or white areas). Late to the conversation, but it sounds to me like both the interview and the writer are white-washing HCC’s Asian/Pacific-Islander and Latino applicants. That is bizarre and racist to me. If you want to talk race; talk race. Don’t make exemptions. What would be helpful is to see a side-by-side break-down, ethnic group by ethnic group of kids in SPSD, then a totally transparent break-down of these sames groups in HCC. We don’t have that. What we have here is a lot of opinion posturing as fact.